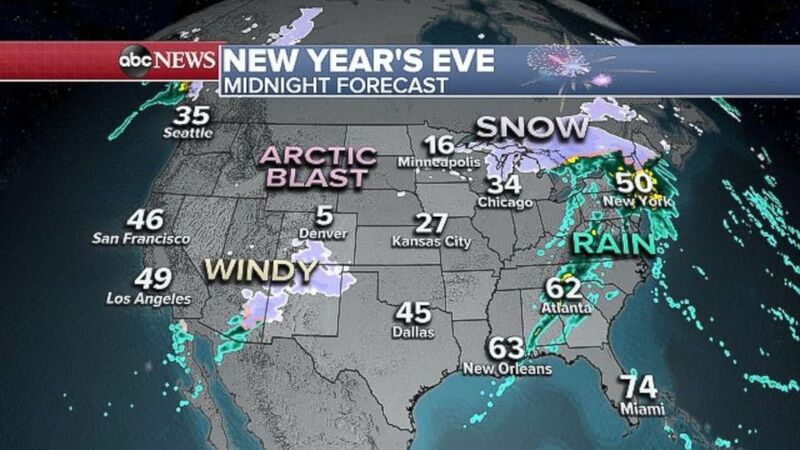 Two storm systems are on the move as revelers get ready to ring in the new year — and those headed to Times Square to see the ball drop should make sure to bring their ponchos. One storm system is bringing mountain snow and gusty winds to the Northwest and the other is forming over the Gulf Coast. They’ll come together to bring a New Year’s storm over the center of the country Sunday night. Aside from the East Coast, much of the rest of the country will be rather quiet as 2019 begins. There’s also the potential for severe thunderstorms, packing damaging wind gusts and a couple of tornadoes across portions of Mississippi, Alabama, Tennessee and Kentucky. 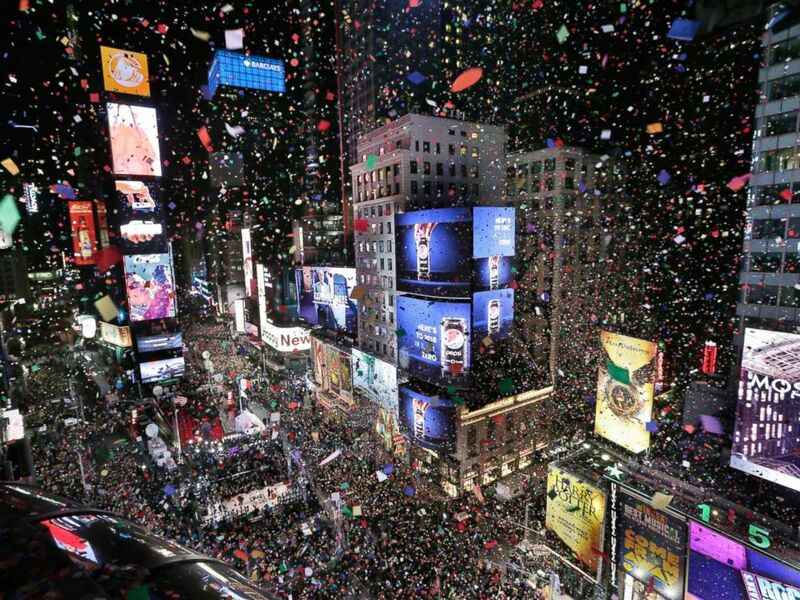 Confetti drops over the crowd as the clock strikes midnight during the New Year’s celebration in Times Square, New York, Jan. 1, 2018. It’s forecast to be about 50 degrees in New York City at midnight — which would be the warmest New Year’s midnight temperature in 14 years. Last year was a frigid 9 degrees with a wind chill of minus 4 — the second coldest New Year’s on record for New York. Meanwhile, Southern Californians should be mindful of strong, gusty Santa Ana winds, which will hit the mountain areas New Year’s Eve and last through New Year’s Day. ABC News’ Emily Shapiro and Mark Osborne contributed to this report.